This post is brought to you by Luxury Resorts. One of the top reasons to visit the national parks in Costa Rica is to witness the country’s diverse flora and fauna. And with some 5% of the world’s biodiversity, often all it takes to experience Costa Rica’s natural abundance is looking out your window. No matter how many times we spot toucans in our garden or hear howler monkeys calling out in the distance, the wildlife in Costa Rica just never gets old. And one of the best ways to appreciate the country’s natural beauty is with a visit to any one of its National Parks. An astonishing 25% of Costa Rica is protected in wildlife parks or reserves. That means that whatever region of Costa Rica you’re planning to visit, there is more than likely a great National Park nearby. 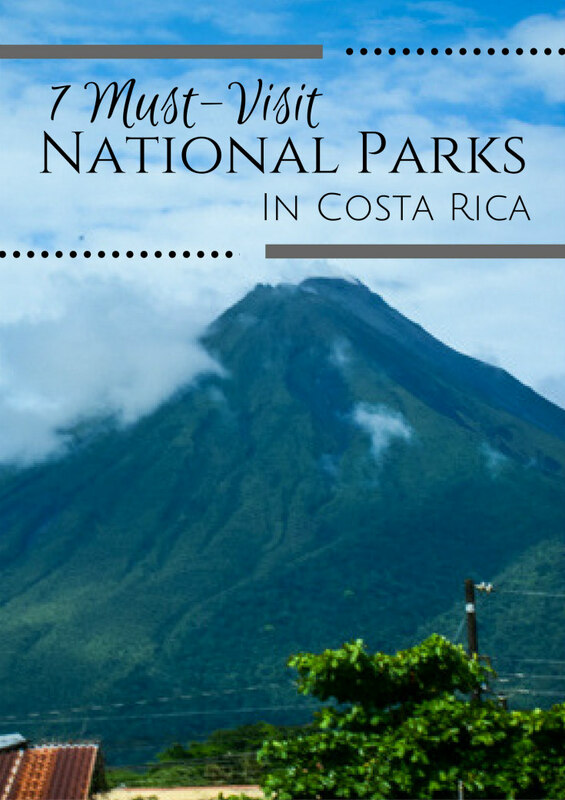 We’ve yet to visit each of the country’s 27 National Parks, but we are doing our best to cross them all off our Costa Rica bucket list. In the meantime, here are our favorite seven spots we have visited—it should be enough to get you started on your own adventures through Costa Rica’s National Parks! Pro Traveler Tip: Luckily, there are plenty of stylish accommodation options nearby most of the parks. These Costa Rica luxury resorts look particularly awesome. If you’re looking for a more rugged experience click here for camping inspiration. 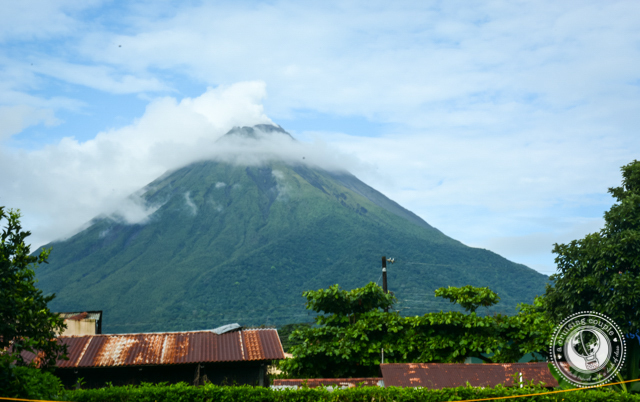 While it no longer smokes, Arenal Volcano is still a site to behold—especially if you’re lucky enough to visit on a clear, sunny day. Even better, the region surrounding the volcano is one of the best for white water rafting, horseback riding, hiking and more. Don’t miss the chance to walk across the hanging bridges in the Arenal National Park; while they are touristy, it’s a cool experience all the same. We also recommend hiking to Cerro Chato and going for a swim in its turquoise lagoon. One of our all-time favorite National Parks, we’ve written about Cahuita extensively. If you haven’t read the post or seen the travel video, we recommend checking it out before your trip. Cahuita National Park is located on Costa Rica’s Caribbean. With palm-fringed beaches, abundant wildlife and powder white sand, it’s everything you imagine Costa Rica to be. 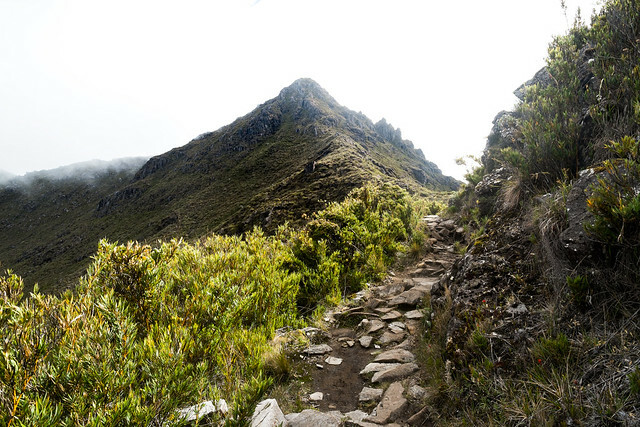 The highest mountain in Costa Rica, climbing Cerro Chirripo offers a unique experience to travelers looking for cooler weather and stunning mountain vistas. While we have yet to summit the mountain, this is high on our bucket list during the dry season. Plan to spend at least one night on the mountain so you can view the sunrise from the peak. If you’re lucky, you’ll get views of both the Pacific and Caribbean coasts. This is another one of our all-time favorite spots in Costa Rica. Corcovado National Park has been dubbed by National Geographic as ‘one of the most biologically intense places in the world.’ With thirteen different ecosystems and some 2% of the world’s biodiversity, it’s hardly any wonder why. What’s more, Corcovado National Park is the last remaining Pacific lowland rainforest of sustainable size, boasting the region’s densest population of tapirs, jaguars, and scarlet macaws. 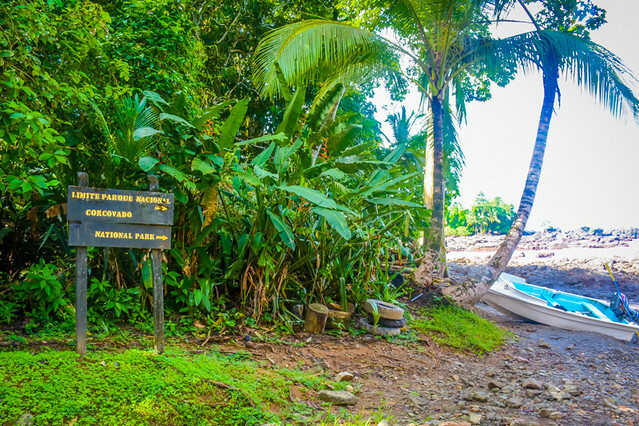 Take a multi-day hike through the park, or stay nearby at a hotel like Casa Corcovado for easy access to the trails. As one of Costa Rica’s most popular tourist destinations, expect to share the beauty of this National Park with lots of other people. 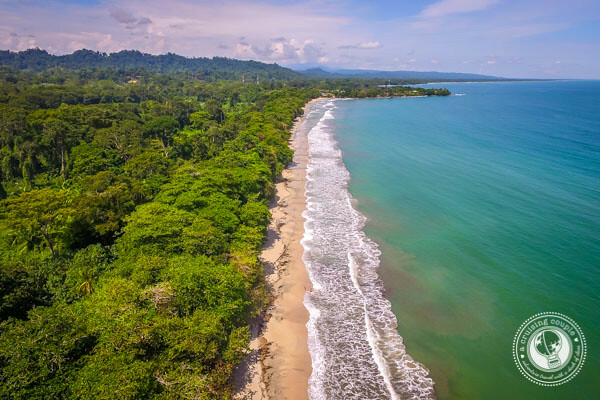 However, with various beaches, easy jungle hiking and a vast array of opportunities for wildlife spotting, it’s still a must-visit in Costa Rica. 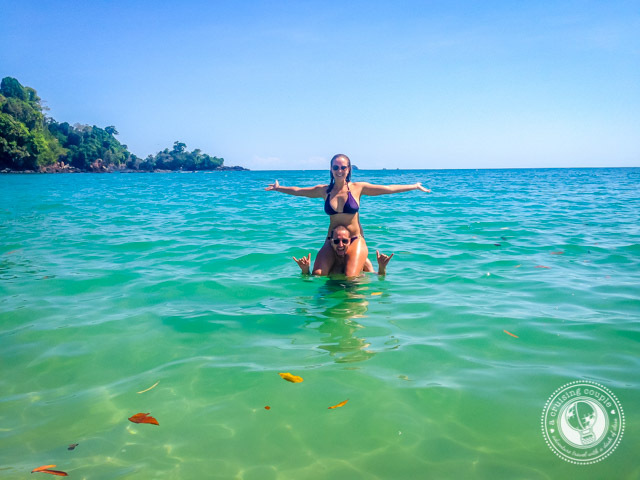 For an off-the-beaten-track way to experience the best of Manuel Antonio, don’t miss the chance to jet ski through the sparkling waters alongside the park’s coast. You would never know this National Park is located a mere 20 kilometers from the chaotic capital city of San Jose. If you’re traveling to the Caribbean, then you’ll drive right through the park, maybe without even realizing it. 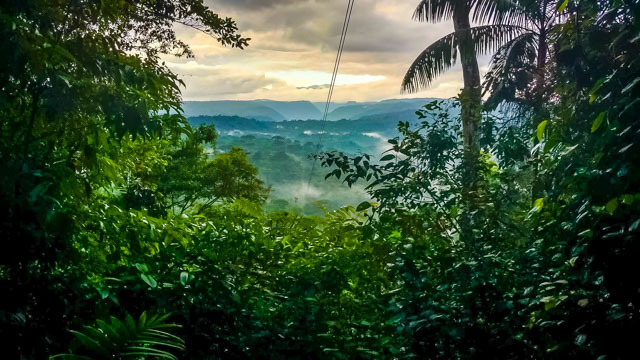 However, we recommend stopping for a night or two at the Rainforest Adventures Lodge, where you can take a Jurassic Park-esque teleferico through the jungle canopy, as well as enjoy the extensive hiking trails. 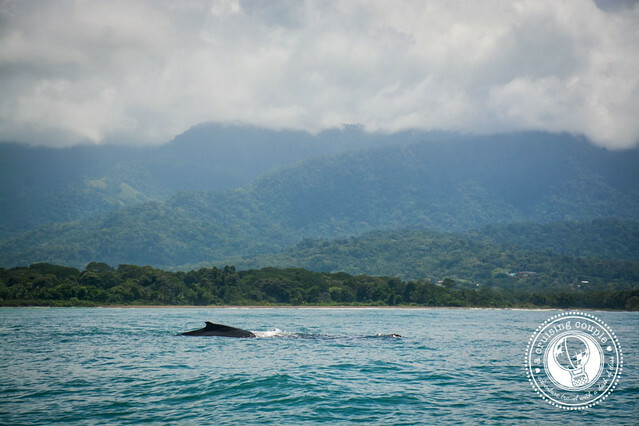 We’re a bit biased when it comes to the Ballena National Marine Park. We can see it from our home office, and since it’s just moments away, it tends to be the National Park we visit most often. But we don’t just love it because of the convenience, but also due to how unique it is. During low tide, the ocean reveals a piece of coastline jutting out into the sea in the exact shape of a whale’s tail. It doesn’t just look like a whale—Humpbacks also migrate through the area twice a year. What are your favorite National Parks in Costa Rica?